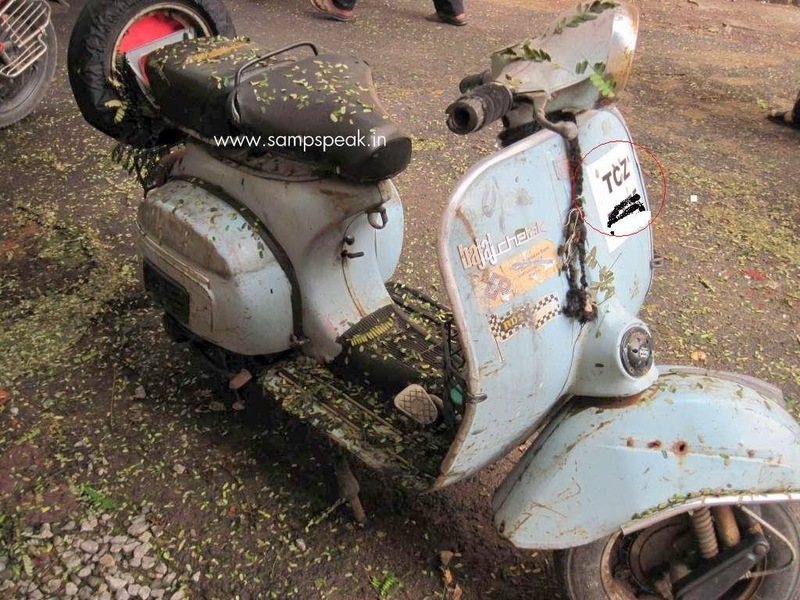 "Sampath Speaking" - the thoughts of an Insurer from Thiruvallikkeni: Registration of Vehicles and the craze for Fancy Numbers ! Registration of Vehicles and the craze for Fancy Numbers ! We own vehicles and possess valid Driving License to drive them too…. honestly, how many of us underwent the process, passed the test and obtained License in the proper manner ? …. There are always crowds in front of RTOs ….. in the interesting film ‘Indian’ ~ there was dual roles – the real hero was that of Senapathi, a meticulous old man fighting to weed out corruption ~ the other was Chandra Bose alias Chandru, a small-time broker outside the RTO who gets people the license for bribes. Senthil was Panee[r]Selvam – the RTO Officer…. Here is a strange and interesting [not the latest news though – but pertaining to Feb 2012] …….. A farmer from Punjab’s Muktsar district shelled out Rs 12 lakh to get a “VIP number plate” for his scooter which cost him Rs 45,000. Ricky Brar, a resident of Khunde Hallal village, was the highest bidder at an auction held at the local transport department office……. He secured the number ‘PB-30-J-0003’ for Rs 12 lakh at the auction. A man sitting next to Ricky at the auction wanted the same number for his brand new Mercedes. But, Ricky out-bid him by Rs 2 lakh. Before the auction, Ricky bought a new scooter for the number. “I love VIP numbers and 3 and 7 are my lucky numbers,” said 28-year-old Ricky, an MBA. He also owns a Scorpio with a VIP number ‘PB-31-F-0007.’ Last week, Ricky learnt that the transport department would issue his most awaited series of numbers. “I already have a car. I wanted something else, not a car,” he said. But, a dealer told him scooters would not be available for the next month. So, Ricky managed to buy an LML Vespa scooter from a government employee for Rs 45,000. He developed the craze for special numbers while in college. The number 0001 in the same series was auctioned for Rs 3.91 lakh, 0002 for Rs 1.11 lakh, 0004 for Rs 18,000, 0005 for Rs 80,000, 0006 for Rs 12,000, 0007 for Rs 1.1 lakh, 0008 for Rs 60,000, 0009 for Rs 1.12 lakh and 0010 for Rs 40,000.